Experiencing VR doesn’t have to cost hundreds of dollars for a PC and headset. There are options available that build upon Google Cardboard, and they offer wildly different experiences. They’re anywhere from $15 to $101, constructed from cardboard to plastic, and even foam. 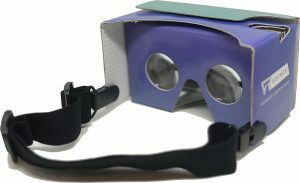 Having the Google Cardboard technology also means there are hundreds of games, apps, and 360 videos available for download. 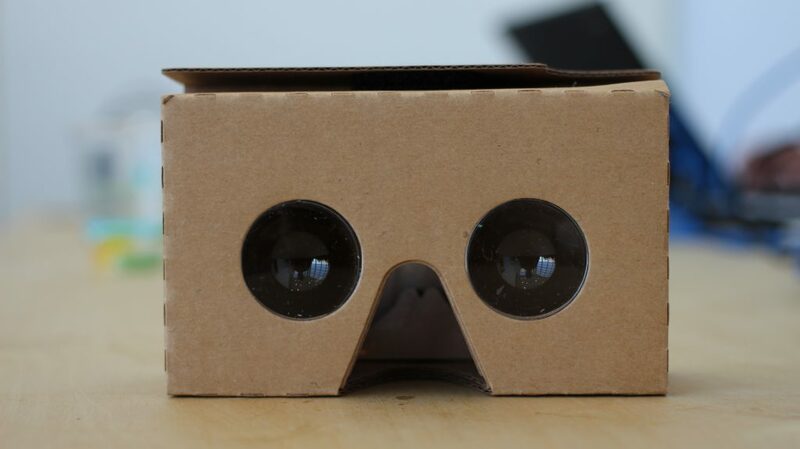 Is Google Cardboard worth it? Buying a new gaming PC rig and a headset is expensive and limits your mobility. The cheap or ‘budget’ VR headsets are still capable of running quality VR games or apps, just not to the same degree. The headsets use your phone, which won’t have a high-quality screen and you’ll see pixels here and there. The VR experiences shouldn’t be undercut because you didn’t spend hundreds of dollars, but considered an entry point into the new and exciting world of VR worlds. Each device has their strengths and weaknesses, but in this feature, we’re going to break down each headset to see which one best fits your bank account and expectations. Google Cardboard is the original DIY, budget alternative to the premium VR headsets. Cardboard doesn’t offer the comfort or functionality of other more expensive headsets, but for $15 to watch VR or YouTube 360p videos you cannot beat it. You’ll have to assemble the headset yourself (or spend a tad more for one that’s already assembled), but the assembly only takes ten mins. The assembly itself is an enjoyable experience, and once set up the headset uses any smartphone to play games or watch videos. There are apps for iOS and Android, of course, but the majority of the apps are on Android. The Cardboard has a magnetic mechanism to control the games or videos. The button is clever, but a lot of games don’t need to use the button. Get the official VR Source Google Cardboard, perfect starter to try out VR for the first time. 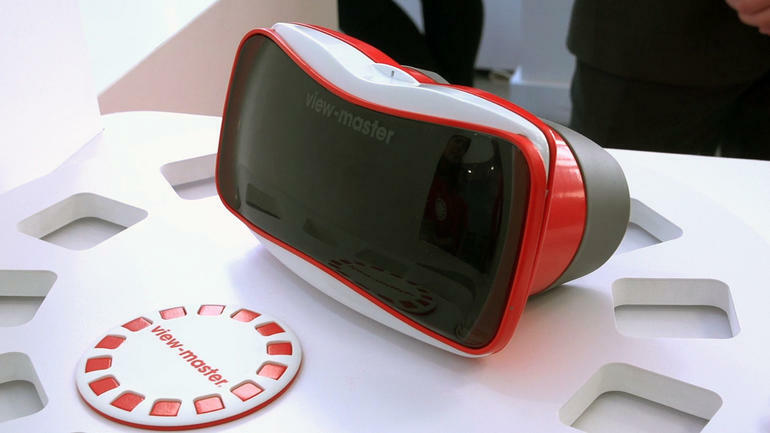 It’s a mix of nostalgia and cool features for anyone who’s too young to remember the original View-Master. The headset lacks a head strap making the View-Master a fun toy to use in short bursts. The headset also features a button that’s more appealing to press than Google’s Cardboard magnetic button. For the low price and Mattel’s mixed reality, it’s an impulse buy for many. It will entertain the kids and adults alike. The Homido is a VR headset that’s comfier than others, and can fit larger screens like the iPhone 6 Plus’s screen or something like the Nexus 6P. The headset is adjustable and has a 100-degree view with three alternate settings for those with glasses: far-sighted, near-sighted and ‘normal’ vision. The headset is one of the comfiest VR headsets available, but the price is $101 which is higher than many other ones. Pair the headset with some high-quality headphones and you’ll be set. The headset isn’t just comfy; it also doesn’t let excess light flood in. 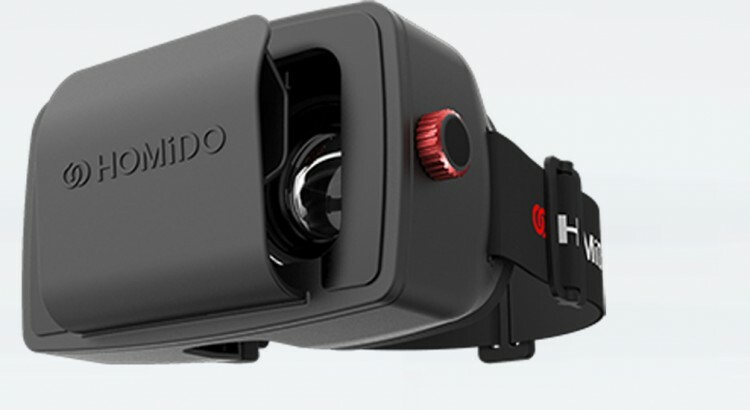 The Homido is one of the better VR headsets available, and if you have a larger phone it’s a perfect fit! 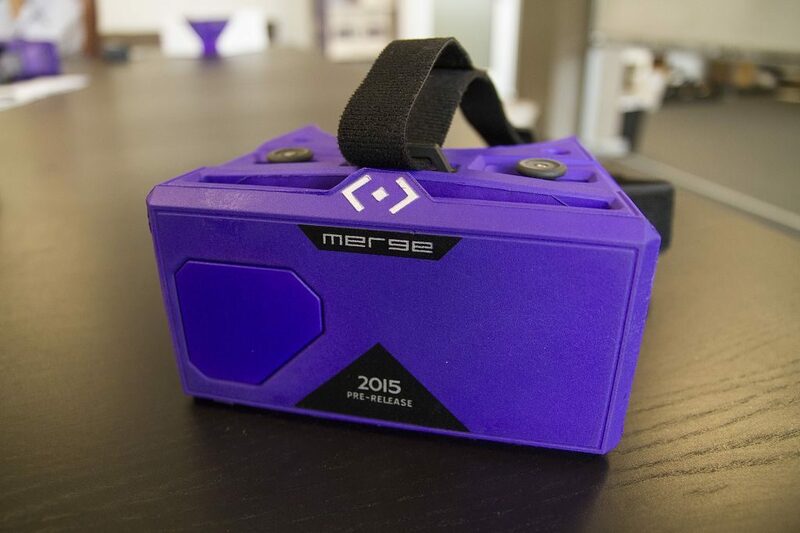 The Merge VR is made from flexible and lightweight foam that comes in a vibrant purple. The company claims the headset will fit any phone made in the past two years, but from our own tests we can tell you that it’s much harder to fit in something like the Nexus 6 or even an iPhone 6S Plus. There is a dual lens focus that’s controlled by two sliding on the top, which makes keeping the screen in focus easier than other headsets. There are also touch-enabled buttons on the side which let you take full control of your display. There is also access to the camera for augmented reality like the View-Master. If you want a VR headset that durable and budget friendly, the Merge is something you’ll be able to throw in your back when you’re on a trip or sitting on the couch. 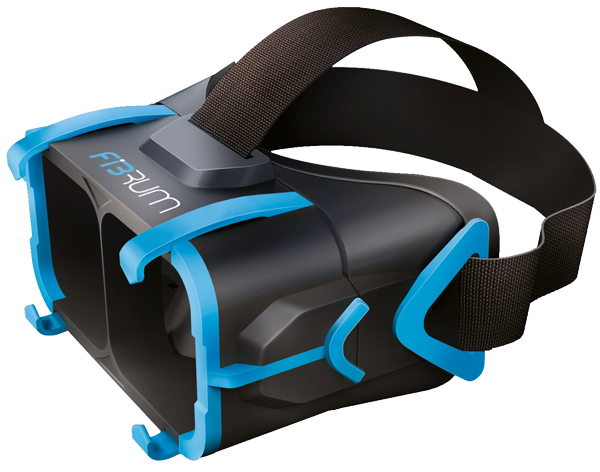 The Fibrum is a newish VR headset on the market. The headset offers a stylish blue and black design that won’t draw as much attention as other headsets. Any phone from 4 to 6 inches can fit inside the headset, and with the HD lenses, you’ll see crystal clear pictures. The feature which sets the device apart is the unique head tracking technology which lets you feel truly immersed, unlike other budget headsets. The company also sells cards which with the app you can see augmented reality characters or objects. Fibrum is also designing and developing VR games which give them a unique upper hand. They have the headset and VR content for the Fibrum goggles. Samsung may have the most widely know VR headset, and comes free with the purchase of a Galaxy S7 or S7 Edge. The device arrives in a sleek white, and while it isn’t the most comfortable the technology being used is from Oculus, there are hundreds of apps and games on the headset from roller coaster games to space adventures. 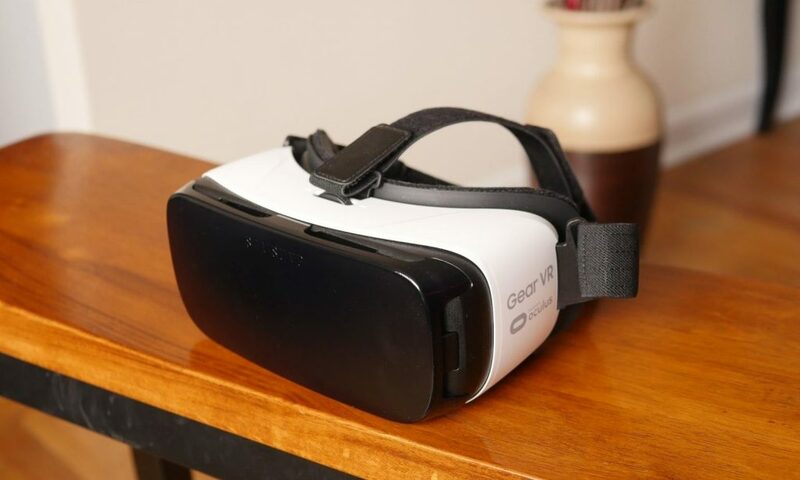 The Gear VR is one of the older VR headsets and one which has been pushed. Samsung is also working on VR video which would allow regular users to create 360 videos to share with friends and family. The headset is relatively comfortable and is one of the best if you own a Samsung device. If you own a Sammy flagship, this is absolutely the best cheap option out there, hands down. If you’re looking into dipping your toes into VR, but don’t want to break the bank any of these headsets would be a great option. If you’re genuinely unsure if you’d like the experiences or if you have to play in them, Google Cardboard is only $15 making it the cheapest option so far. The games being made for the different headsets aren’t simple rudimentary games either. They’re beautiful and immersive games that you can spend a few hours each day playing. There is also hundreds of hours of videos on YouTube that you can watch. Facebook also has a bunch of videos to watch if you have one of these headsets. If you’re going to pick up one of these cheap VR headsets, tell us which ones in the comments below!